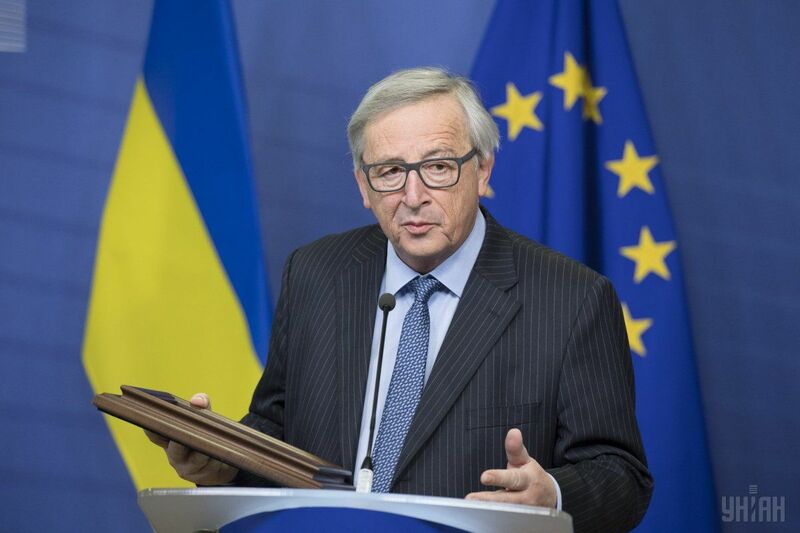 President of the European Commission Jean-Claude Juncker has said that Ukraine is not "'European' in the sense of the European Union." "At the moment we've got 60 wars ongoing in the world, 60 – and none in Europe if I disregard Ukraine, which is not 'European' in the sense of the European Union. I saw that my friend [Ukrainian President] Mr. Poroshenko a few days ago did say: 'Here is Ukraine, it is the European Union, and it is NATO. But for the moment it is neither one nor the other. And I think we do need to bear that in mind," Juncker said at a conference of the EU ambassadors in Brussels on Tuesday, August 29. Read alsoPoroshenko vows Ukraine to meet criteria for EU, NATO membershipAs UNIAN reported earlier, the Council of the European Union on July 11 completed the ratification of the Ukraine-EU Association Agreement. The document is expected to come into force on September 1, 2017. Addressing his nation at a military parade on August 24 on the 26th Ukrainian Independence anniversary, Poroshenko said that Ukraine has one road – a "wide Euro-Atlantic highway" that leads to membership in the European Union and NATO. "At the 26th year of independence, we successfully accomplished the struggle for the ratification of the Association Agreement with the European Union. To block this process, Moscow exerted even more efforts than it once did to disrupt the signing of the treaty itself," he said. On September 1, the Agreement becomes effective and will serve as our road map of reforms. And we have only one road to follow – a wide Euro-Atlantic highway leading to membership in the European Union and NATO." Read alsoFT: Ukraine crisis will 'cripple' Russia-U.S. relations, envoy warnsShortly after, Poroshenko said during celebrations on the 50th anniversary of the Ukrainian World Congress (UWC) in Kyiv on August 26 that Ukraine would meet the criteria necessary for membership in the European Union and NATO. "I am sure that in future we can count on the same kind of coordination and interaction on the part of the UWC regarding the efforts of our state to protect its sovereignty, territorial integrity, and independence, to implement our ambitious European and Euro-Atlantic goals, since some politicians inside and outside the country also fail to believe that we will see both prospects for EU and NATO membership," he said. "We will overcome these barriers, we will change the country," Poroshenko said. "Ukraine will meet the criteria necessary to apply for the membership. We will continue moving along our European and Euro-Atlantic path."